If you’ve ever opened an instruction manual for a game, you’ll know that they’re full of warnings and disclaimers. Hell, Nintendo games often have a separate pamphlet that’s several pages long, going into great detail about how the game might injure you, cause you to injure others, or somehow destroy everything in your house. But this week, I found the very best disclaimer that I’ve ever seen on a game. It was located on the back of the instruction manual for the 3DO game “Gridders”. 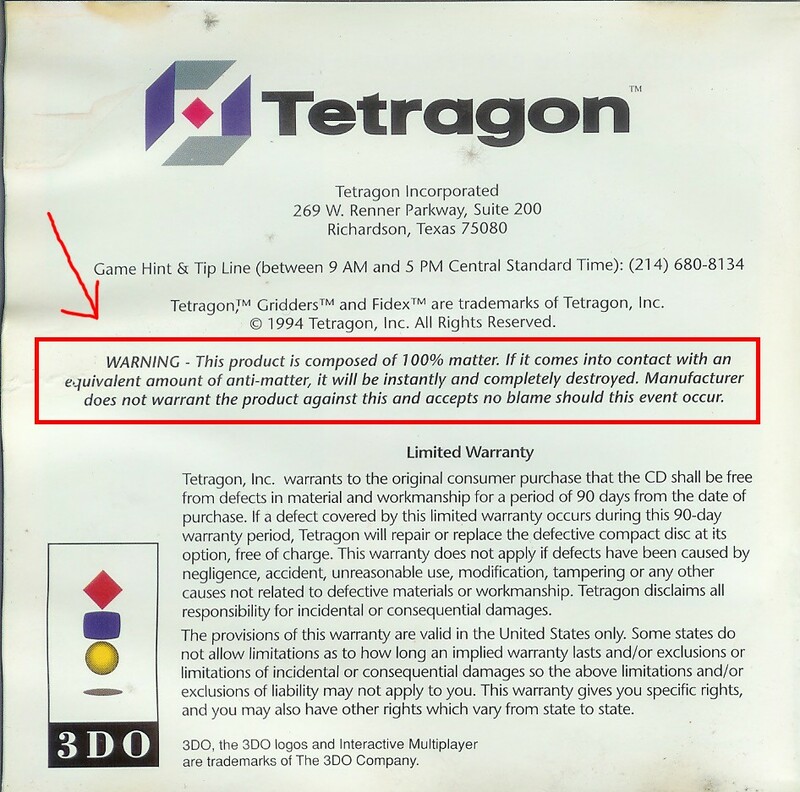 WARNING: This product is composed of 100% matter. If it comes into contact with an equivalent amount of anti-matter, it will be instantly and completely destroyed. 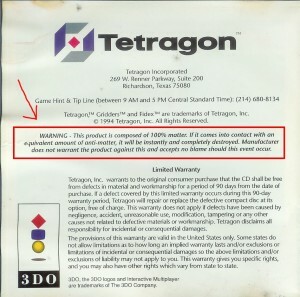 Manufacturer does not warrant the product against this and accepts no blame should this event occur. Those three sentences alone are justification and redemption for the existence of the 3DO.